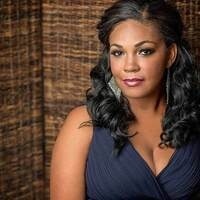 Hear DePaul School of Music Alumna, soprano Janai Brugger, speak about her professional path and answer questions from students at this special Professional Development session co-hosted by the DePaul University School of Music and Collaborative Arts Institute of Chicago (CAIC). A winner of both the prestigious Operalia competition and the Metropolitan Opera National Council Auditions, Brugger appears regularly in leading roles with the world’s leading opera houses and orchestras, including the Metropolitan Opera, Lyric Opera of Chicago, Royal Opera House Covent Garden, New York Philharmonic, Los Angeles Philharmonic and many more. This special Question and Answer session is presented in association with her May 8 appearance on CAIC’s Lieder Lounge series: a recital in Gannon Concert Hall with pianist Martin Katz, who has been dubbed “the gold standard of accompanying” by The New York Times. For more information about her May 8th performance, please visit here.